Trinseo (NYSE: TSE), a global materials solutions provider and manufacturer of plastics, latex binders, and synthetic rubber, announced effective March 1, 2019 that Grolman Group will start a partnership in the marketing and distribution of Trinseo’s Styrene-Acrylic (SA) LIGOS™ Binders in Germany, Austria, Switzerland, and the Benelux region used in the paints, coatings, and construction market. This announcement comes weeks before Trinseo appears at the European Coatings Show in Nuremberg, Germany from March 19-21, 2019. 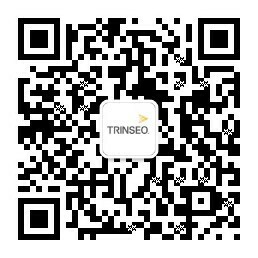 Meet Trinseo there in Hall 4 stand 4-313. The Grolman Group operates an international specialty ingredients distribution business. It is composed of individual sales offices based in all European countries, Turkey and Maghreb, each supported by technically trained sales staff, customer service teams and local warehousing. The Grolman Group, run by the fifth generation of the Grolman family, has been privately owned since it was established in 1855. The key to its success has been the dedication and commitment to building an efficient customer-focused organization where customers’ needs are an essential driving force.